Our desire is to help as many people as we can by providing them with the most accurate health. We want to help educate and heal the world, promote a clean environment, and bring back good health, positive thinking, happiness, and love. We also want to expose to all the hidden truths behind the medical industry, such as how modern medicine treats just the symptoms of disease and not the root causes. Let’s face it—the current healthcare systems are not working and the incidence of disease is climbing at an alarming rate. We want people to know that the root cause of disease stems from the accumulation of toxins in the body, and daily exposure to a toxic living environment. These toxins come from air, water, genetically modified foods, pesticides, meat, dairy, soy, white flour, table salt, MSG (Monosodium Glutamate), microwaved foods, refined sugar, artificial sweeteners, caffeine, alcohol, electromagnetic radiation, heavy metals, parasites, industrial chemicals, prescription drugs and more. We feel it’s our purpose in life to teach everyone how critical it is to detoxify your body on the inside as well as the outside. Internal purification is the first, crucial step towards achieving maximum health and vitality. By cleansing your body on a regular basis and eliminating as many toxins as possible from your environment, your body can begin to heal itself, prevent disease, and become stronger and more resilient than you ever dreamed possible! We constantly dream of changing the quality of life for all of us by revealing this valuable information. We firmly believe—the real definition of a doctor should be one who teaches, not one who prescribes. This is our gift to each and every one of you!! 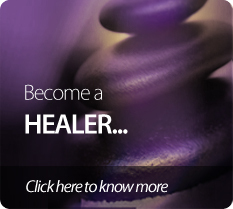 Our tutors are a caring, passionate and inspiring team in the service of supporting others on their healing journey. They bring their presence and experience to hold a safe and loving space at the Centre. To hold a safe and supportive space to allow the fullness of each individual to unfold. For participants to be deeply healed themselves and solidly on the path of their life purpose. ToÂ heal how to become skilful in managing our own energy from which we create our lives to be as they are. To teach how to be able to effect healing and self realisation in the lives of others. To celebrate life in communion with our brothers and sisters, and with spirit. To support the expansion of consciousness on both an individual and planetary level.